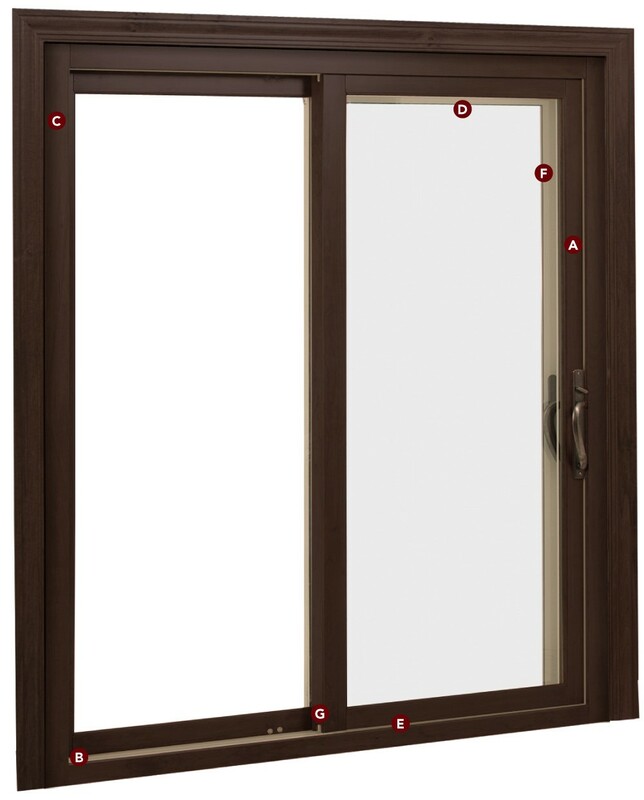 Click here to view the Aeris Patio Door Publication. Available with Cherry, Maple and Oak interiors, Aeris patio doors provide a luxurious yet highly functional door system for your home. 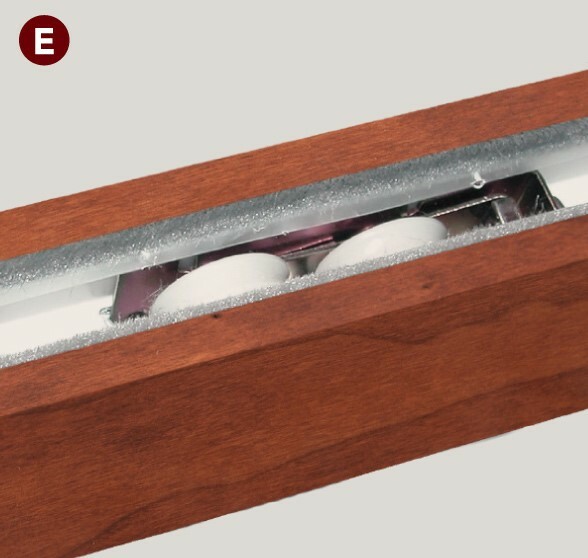 Aeris patio doors offer many customization opportunities, including 16 interior wood stain finishes, 16 interior paint colors and four exterior colors; many options for internal grids and internal blinds; and a wide array of decorative glass, privacy glass and tinted glass options. But, your real satisfaction comes when you discover just how well your new Aeris patio door keeps unwanted heat and cold out of your home. Aeris components are inventively designed, and come together to create a very energy efficient patio door. 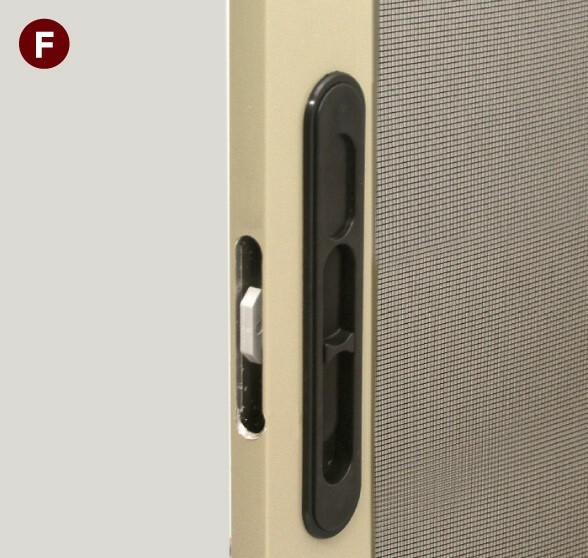 The frame and sash construction of Aeris sliding glass patio doors exceed industry standards, and are tested against the most stringent requirements for air and water infiltration, wind load resistance, ease of operation, forced entry and much more. Aeris sliding patio doors are designed and built to withstand the rigors of many years of operation, while providing high performance in the areas of energy efficiency, air and water infiltration, wind load resistance, and forced entry. 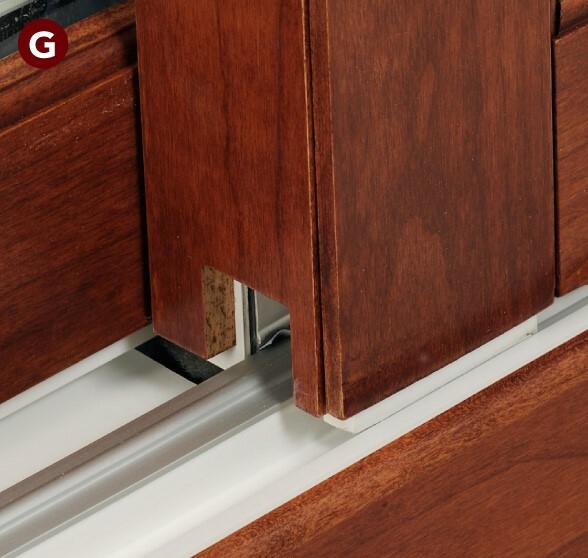 Additionally, Aeris sliding glass patio doors require very little maintenance. 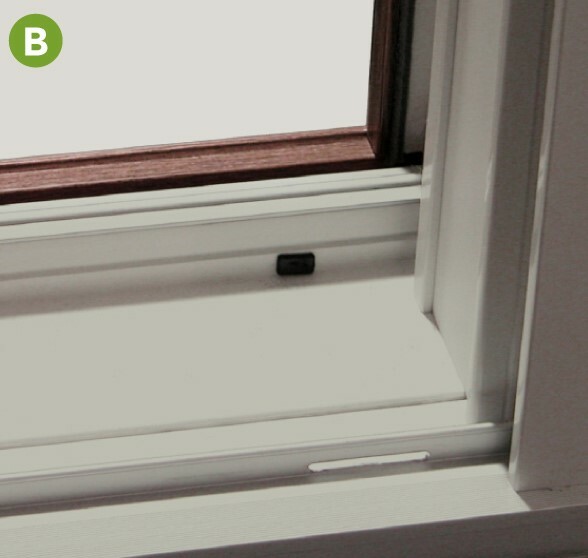 The virgin vinyl frame and sash resists chipping, cracking, peeling, pitting or blistering. Aeris patio doors are reinforced with galvanized steel for rigidity and stable operation. 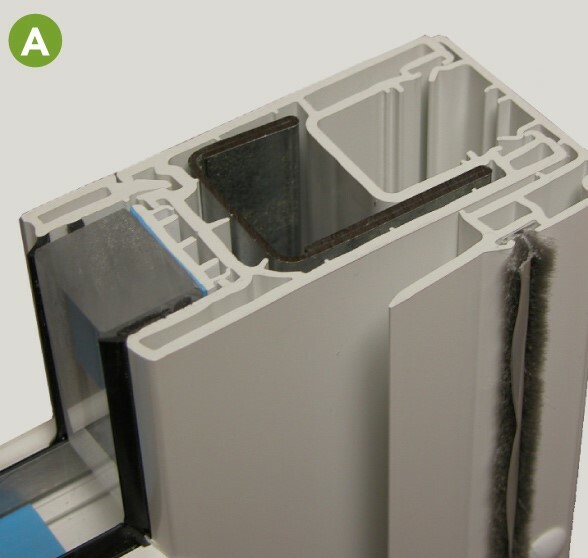 Aeris patio door features include a patented water draining system. 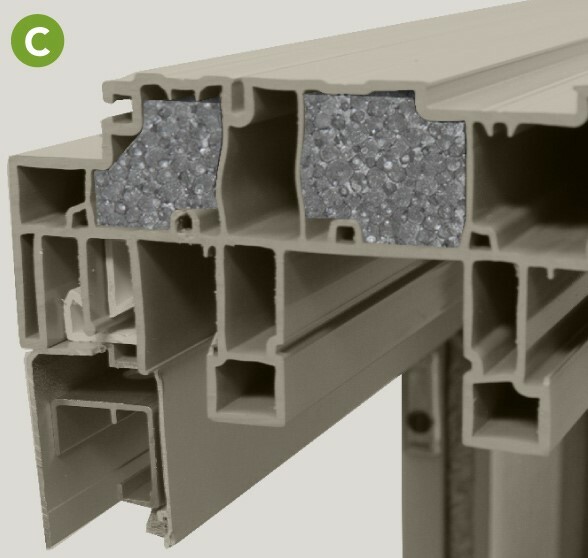 Galvanized steel is also used to reinforce patio door sill. 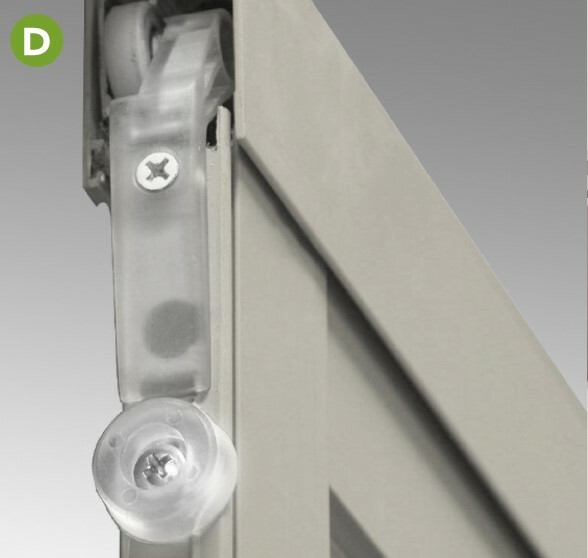 Aeris patio door panel features four adjustable 1" wheels on sliding panel to ensure smooth, easy and quiet operation. Aeris sliding patio doors are available in custom sizes up to 8’ wide, and two-, three- or four-panel configurations. Many options for interior wood finishes or paint colors, exterior colors, internal grids or blinds, and glass styles offer a high degree of customization for a sliding glass patio door that’s not only energy-efficient and highly functional, but also beautiful.